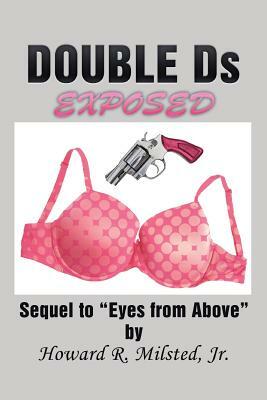 Double DS Exposed — Howard R. Milsted Jr.
“Double Ds Exposed”, a murder mystery, is the sequel to Howard Milsted's popular romantic novel, “Eyes from Above”. In “Double Ds Exposed”, Howard's death turned out not to be the end of the romantic saga that was his life. After Claire, Howard's wife of 48 years passed away. Howard met two other women, Delilah and Dawn, who each helped fill the void in his life. When a murder, and not a supposed heart attack, was determined to be the real cause of Howard's death. The Double Ds (Delilah and Dawn), despite their dislike for each other joined together to undertake a perilous journey to bring his killer to justice. The Ds' tale of danger and perseverance in finding and capturing Howard's killer will keep the reader in suspense right up to its surprising conclusion. Enjoy!